The fanny pack is back! These wholesale waist buckle travel packs are back in fashion. A great way to carry the bare necessities for those long walks. Equipped with adjustable snap buckle and zipper pouch. Extends up to 55 inches in the waist buckle. 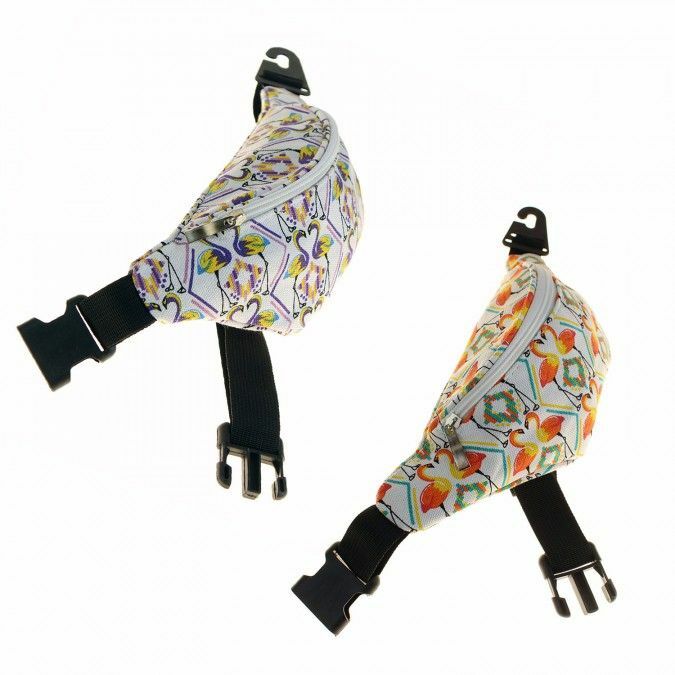 These wholesale fanny packs come in two flamingo style prints, one in purple and one in red. Case of 24.